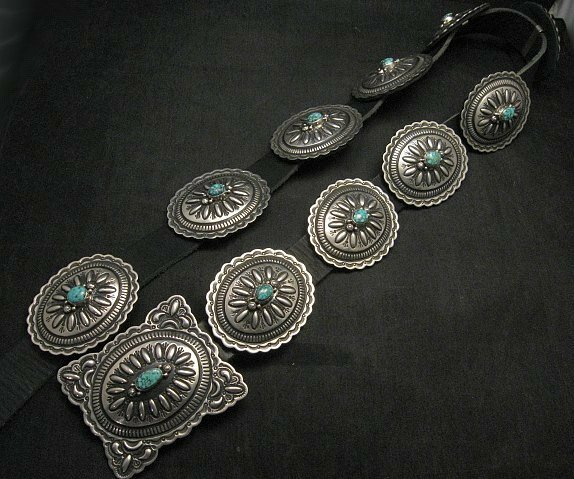 This fabulous sterling silver Concho belt by Darryl Becenti is a wonderful example of Darryl Becenti's amazing silversmithing skills. 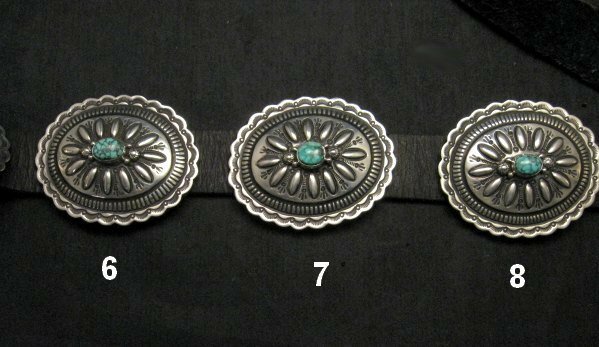 There are 10 oval conchos, all the same pattern, each with a natural Kingman turquoise center stone measuring approx. 8mm x 11mm. 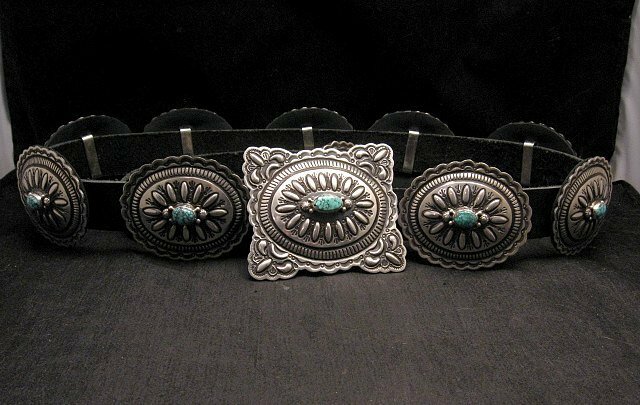 The slightly larger rectangular buckle is set with a larger turquoise stone approx. 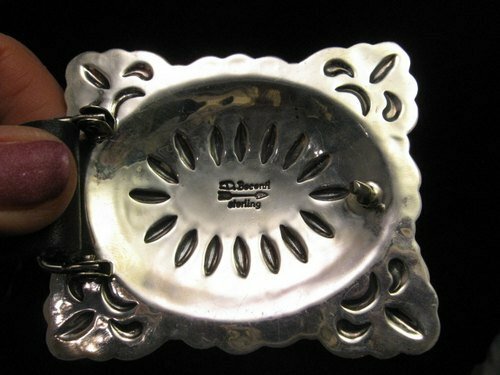 8mm x 15mm. 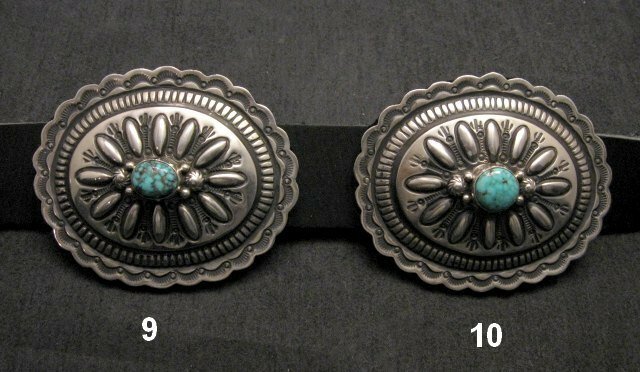 The conchos have scalloped edges and are covered with deeply carved silver work, precise repousse work and extraordinary hand stamped designs. 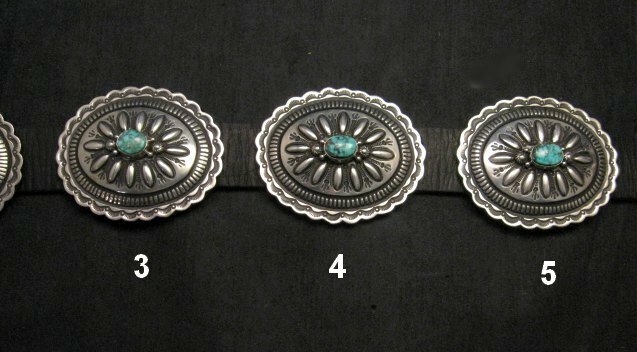 This beautiful concho belt has ten oval conchos (2 1/2"W x 2 1/8"H) and a slightly larger rectangular buckle (3"W x 2 1/2"H) on a 45" long 1"W black leather belt that can easily be cut to size. 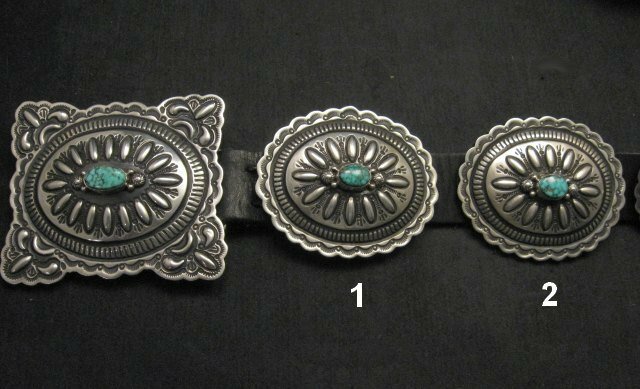 The oval silver conchos have black leather backings and are affixed to the leather belt with silver slides and can be adjusted as needed. 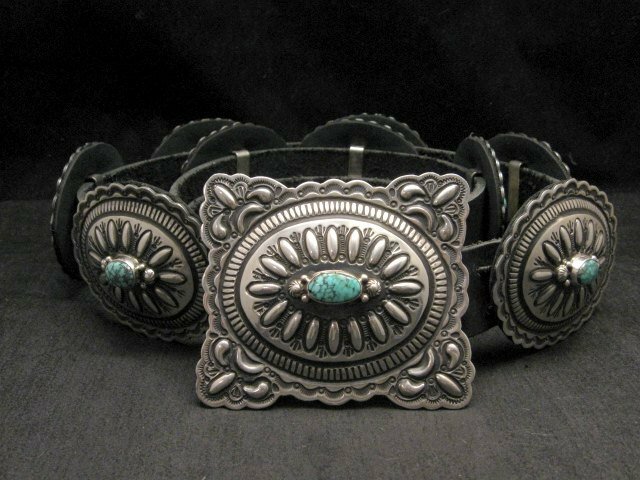 There are no holes punched in the belt but I can punch holes for you as needed.